Brand new home with WALK OUT FULL BASEMENT, mature trees in the rear, and large pie shaped home site! This home has craftsmen styled architecture, large front porch with stone pillars, open first floor, with enclosed den, large kitchen with breakfast bar, adjoining great room with fireplace and high 9 foot ceilings! Laminate wood Flooring throughout most the 1st floor. Upstairs showcases 3 large bedrooms, 2 full baths, including shower with seat, and large open loft. A must see. School System:Westerville Csd 2514 Fra Co.
SchoolsClick map icons below to view information for schools near 3260 Yellow Finch Walk Columbus, OH 43231. Listing provided courtesy of New Advantage Ltd..
Home for sale at 3260 Yellow Finch Walk Columbus, OH 43231. 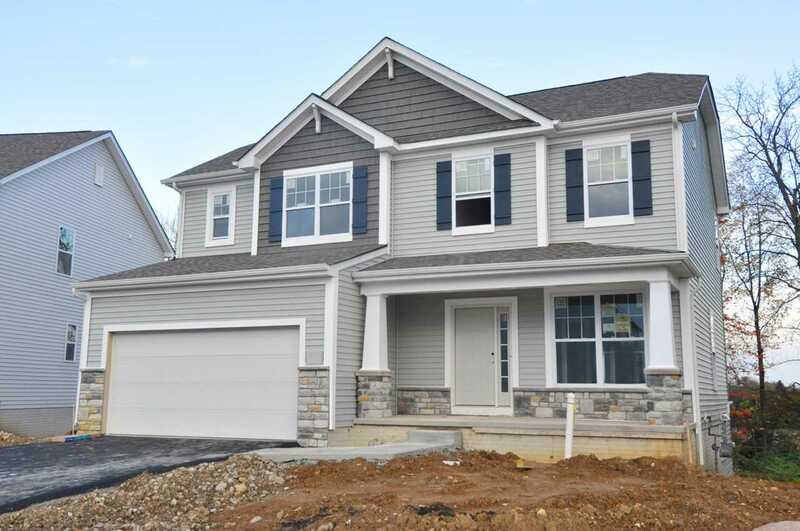 Description: The home at 3260 Yellow Finch Walk Columbus, OH 43231 with the MLS Number 218034493 is currently listed at $309,900 and has been on the Columbus market for 223 days. You are viewing the MLS property details of the home for sale at 3260 Yellow Finch Walk Columbus, OH 43231, which is located in the Minerva Park subdivision, includes 3 bedrooms and 3 bathrooms, and has approximately 1988 sq.ft. of living area.